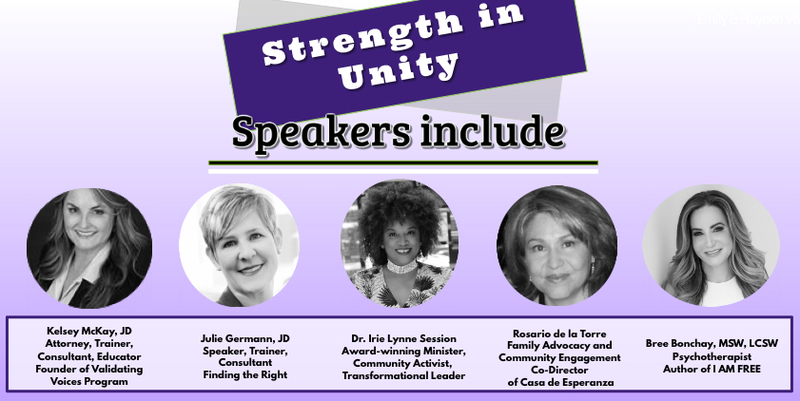 Learn, collaborate, and understand to more effectively respond to domestic violence in your community. 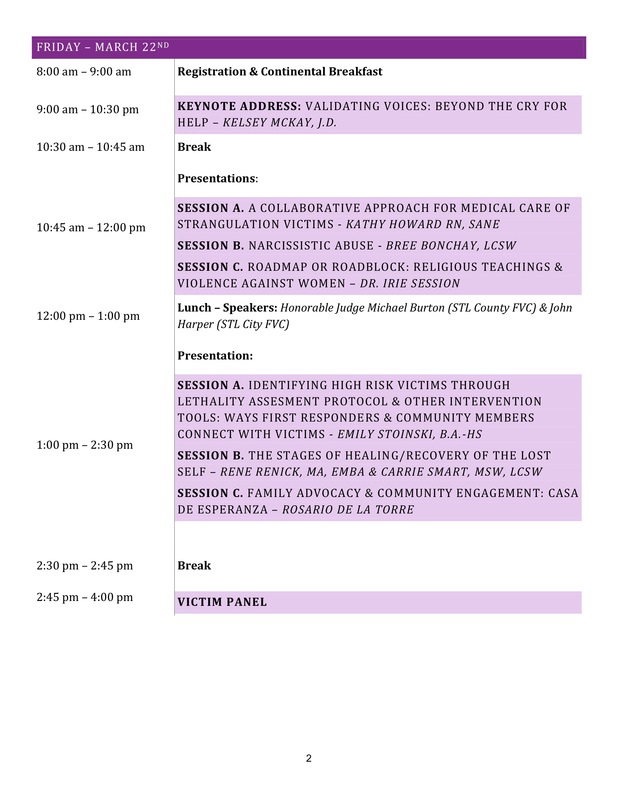 ALIVE is calling on professional domestic violence responders to join us for ALIVE's 2nd Annual Conference, Strength in Unity: Community Innovations in Domestic Violence Response. Ours is a community of diverse backgrounds. We are advocates, mental health professionals, medical specialists, law enforcement professionals, attorneys, and others. We are innovators. 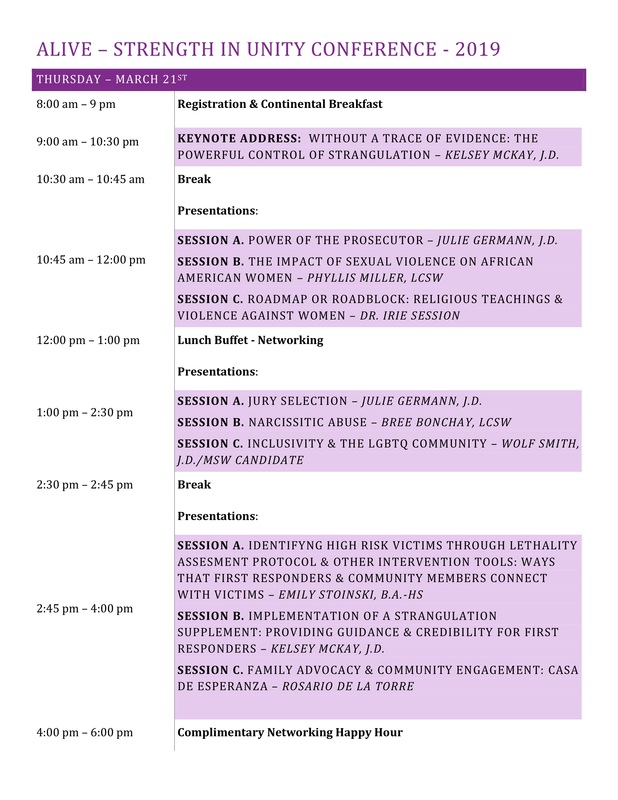 We are working together to support justice and healing for domestic violence victims and survivors and their families. Don't miss this unique opportunity to learn from and connect with national and local experts! National and local experts will be leading innovative training sessions addressing best practices and emerging issues.